A 100% wool, reversible wool fabric featuring bright red, and deep blue and green. 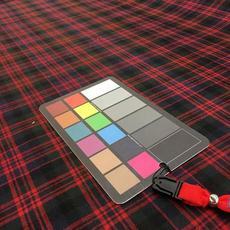 This is a traditional Tartan plaid, perfect for shawls or pashminas, apparel, home decor projects and crafting. We have a great selection of wool fabric, sold by the yard, for every type of project. Melton wool and coating weight wool in a rainbow of colors, including purple, red, orange, gray, black and many more. We also have a beautiful collection of lightweight suiting wool with sophisticated patterns and colors. 7000+ designers trust Studio Designer as their project management & accounting cloud software. It seamlessly connects designers, showrooms & manufacturers.